THERE ARE two reasons why I always found it hard to believe my dad met Eusebio. The first reason was that he hates football and I would never have suspected him of ever being in the vicinity of any stadium not showing rugby or cricket. But when I was 15 he returned from a holiday in the Algarve claiming to have been to a Champions League quarter final. I was gobsmacked. Even when he produced hard evidence I wouldn’t have any of it, until my mum corroborated the story. 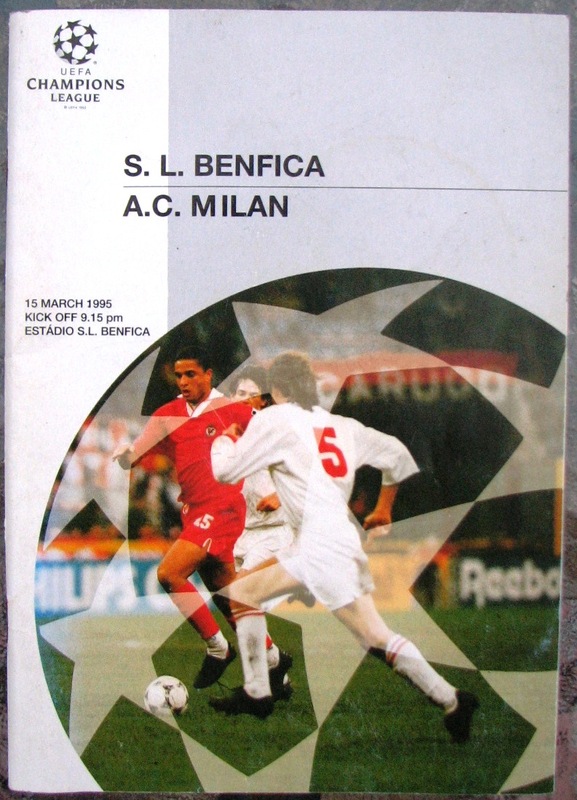 Flicking through the programme for the 1995 second leg between Benfica and Milan was awe inspiring. 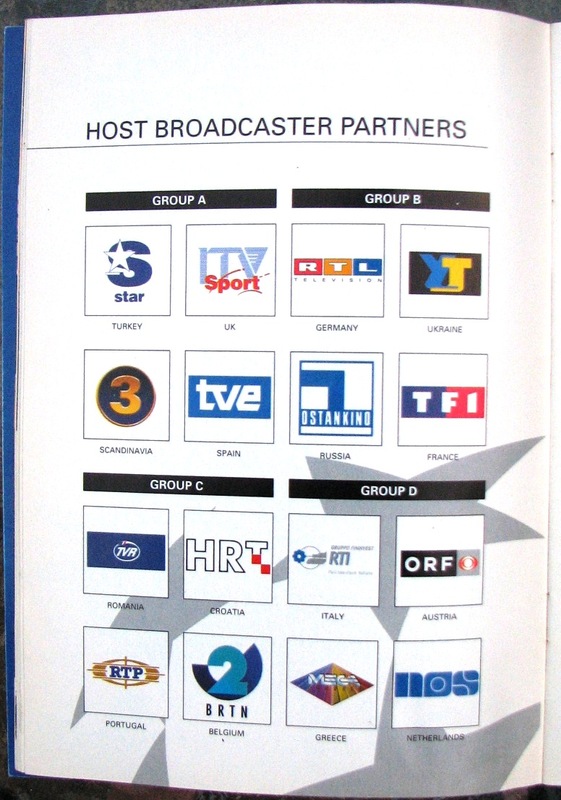 We wouldn’t get the internet at school for another year, and as Scott Murray pointed out last week, back then exposure to foreign football was restricted to international tournaments, Channel 4’s Football Italia and the odd game involving underwhelming English teams. 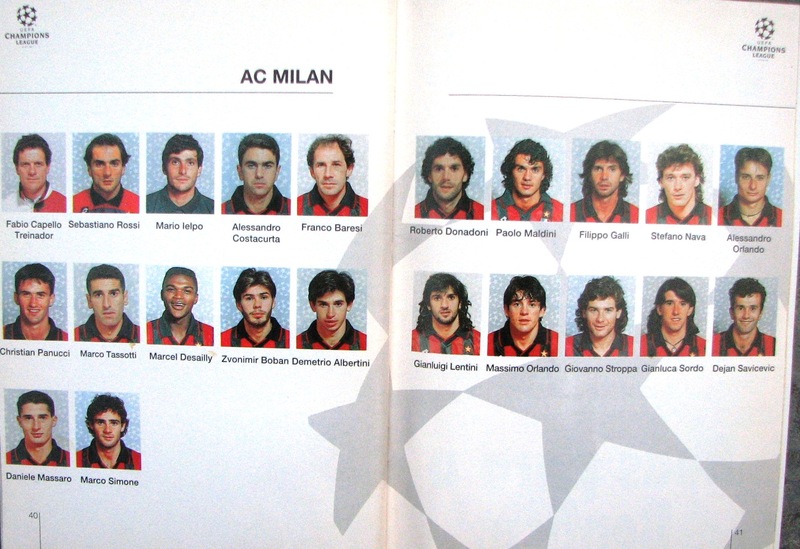 Claudio Caniggia, Paulo Bento, Joao Pinto, Marcel Desailly, Zvonimir Boban, Paolo Maldini, Franco Baresi and Dejan Savicevic. 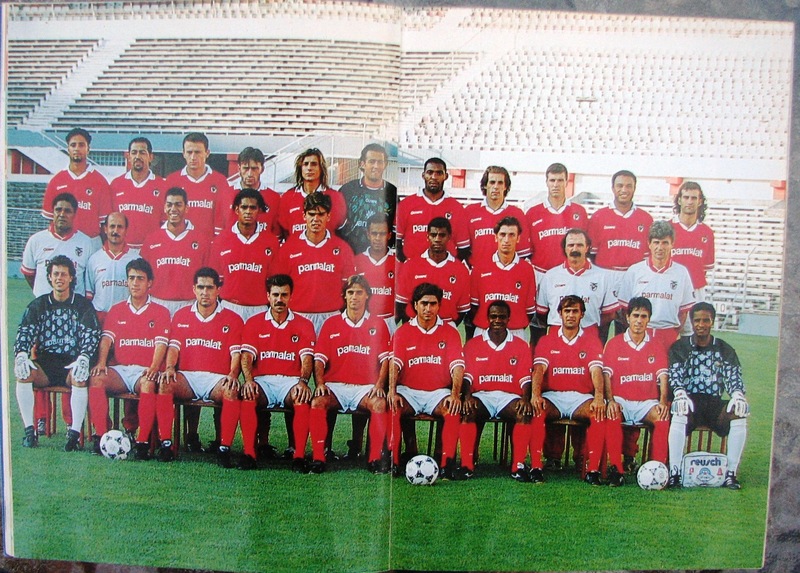 My dad watched them live in Benfica’s Estadio da Luz. My bloody football-apathetic dad! 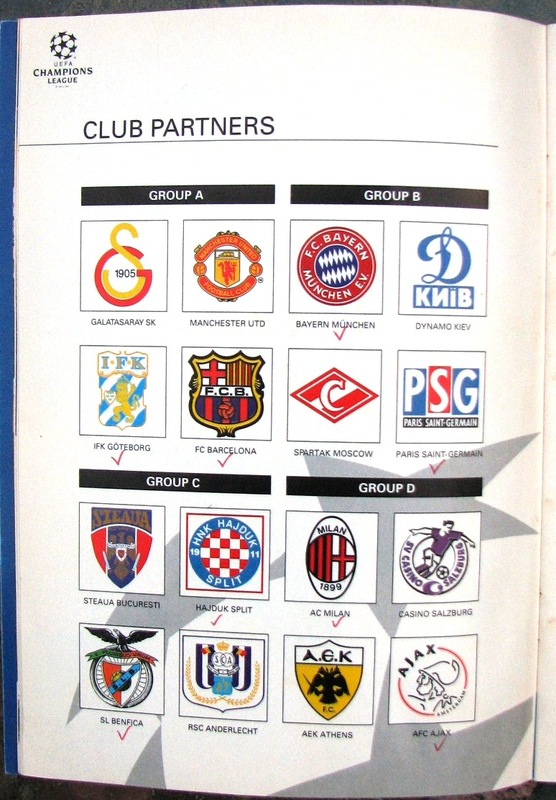 Pop quiz: When was the last time the Champions League group stage contained no more than one club from each country? Before watching Europe’s elite lock horns in what turned out to be a 0-0 draw, the group my dad was with had enjoyed a meal where the club legend Eusebio is reported to have pressed the flesh. On this point Mum emphatically did not back him up, which brings us to the second reason why he’s unlikely to have met one of the greatest footballers ever to have played. When I was six I innocently asked the old man if one could ‘eat the red bit off the Edam’. Without missing a beat he coolly responded that you could. Not having regular contact with that most delectable of Dutch semi-hard cheeses I naively bowled through life for over a decade until one fateful moment at a dinner party. A couple of minutes after the cheeseboard was produced, merrily munching away I realised everyone was staring. Cue laughter, and a story I’ve just come to accept. A couple of weeks ago I visited Lisbon for the first time and took a tour of Benfica’s ‘Stadium of Light’. I contemplated the tactics board in the away dressing room, walked out of the players’ tunnel, posed for a mock press conference and got up close to the two bald eagle mascots who live behind one of the goals. Well worth 12 euros. 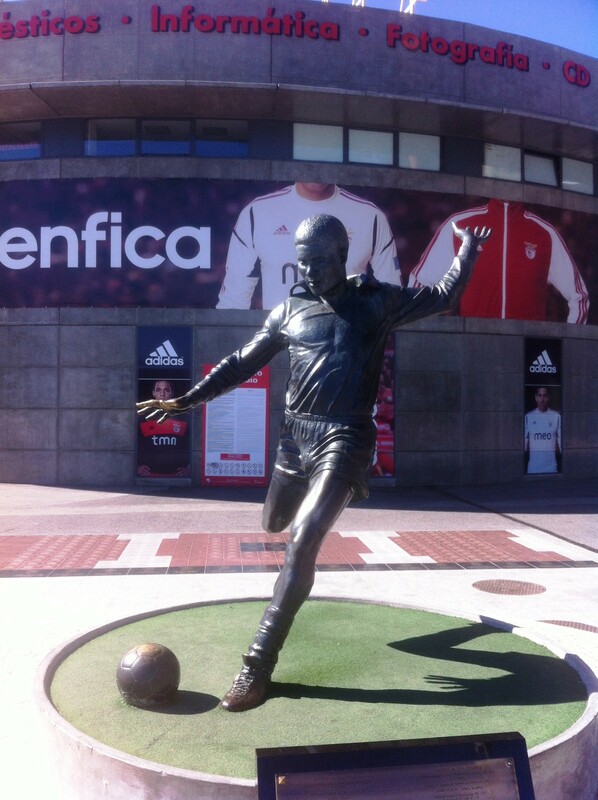 Outside the ground I stood next to a statue of club legend Eusebio, an act which, I still believe, brought me closer to the Black Panther than the old man ever got.